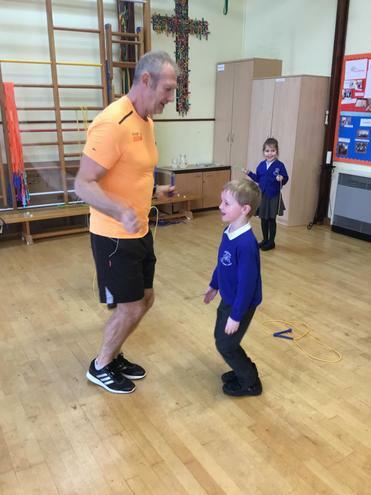 We were so lucky to have 'Skippy John' visit us today. 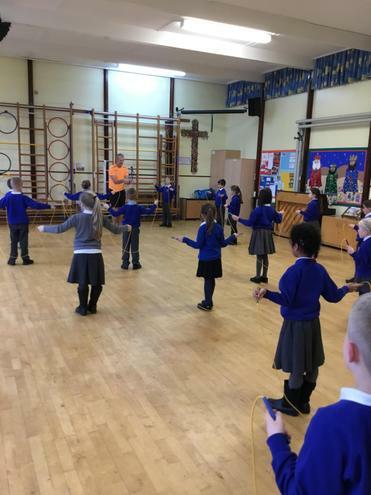 He taught us that we can all skip even when we thought we couldn't. 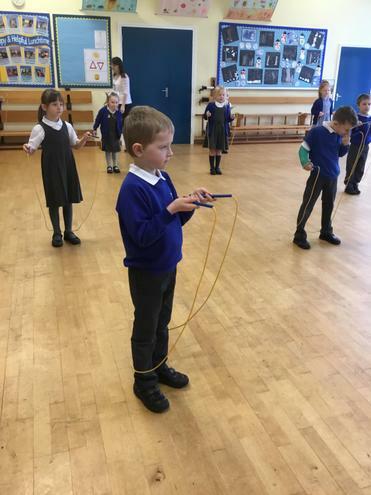 Year R played the shark game, running under the rope. 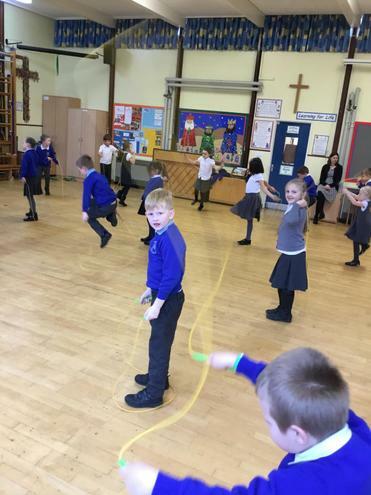 It was so much fun trying not to get caught. 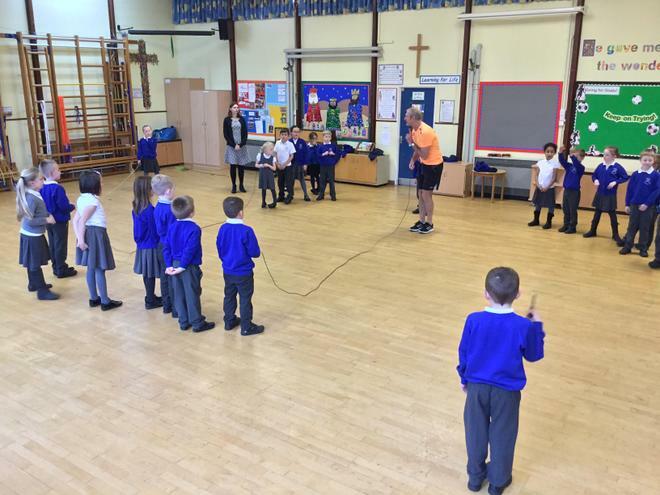 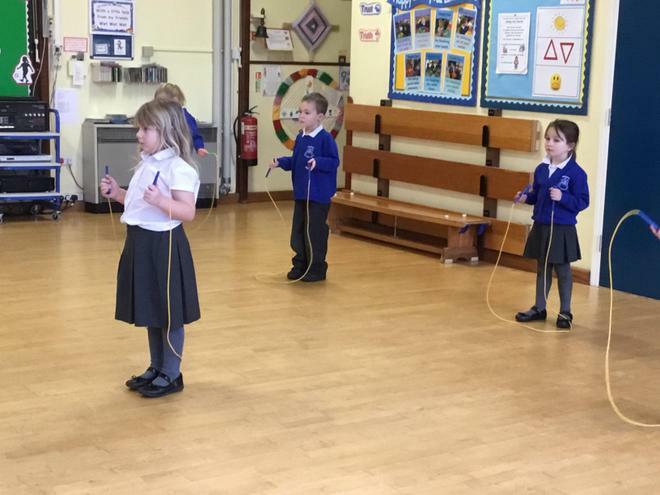 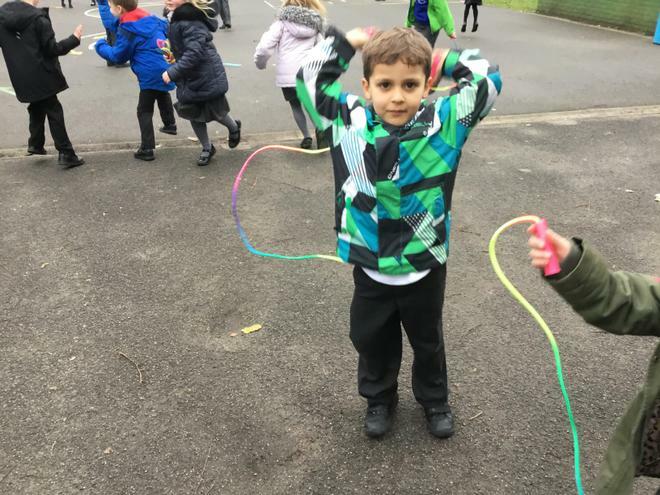 Year 1 and 2 each had a rope and learnt top skipping tips like how to hold the rope like a dinner tray and how to bounce not jump. 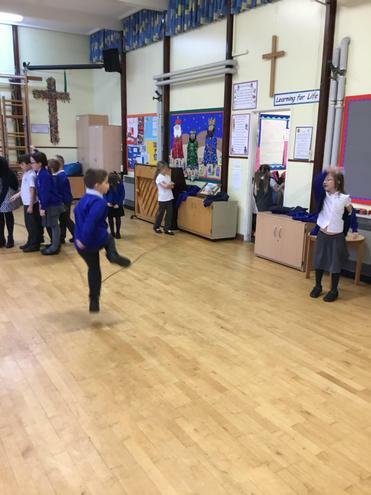 Year 2 also practised some team skipping skills. 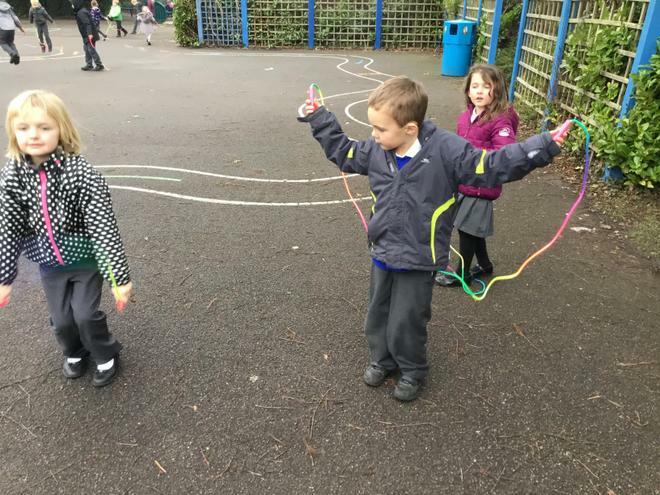 We all persevered to try our very best.